Fewer than fifty years ago, Dubai was a low profile port. With the discovery of oil, the city has since flourished as a center for international trade, attracting billions of dollars in foreign investment from around the world. The accompanying real estate boom saw the construction of economic free zones, the world’s tallest buildings and largest malls, as well as luxury sports, shopping, and entertainment venues to support a concerted push toward luxury tourism. Yet the indefatigable city was hit hard by the economic recession in 2008, prompting the local government to look for viable new growth opportunities and ways to diversify its economy. 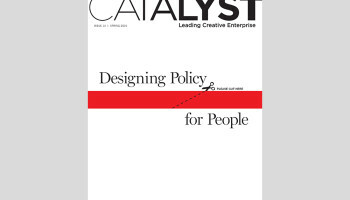 Saadia Zahid, a Pratt Institute Design Management Alumna and Creative Strategist who works on the Fashion Forward initiative shares with Catalyst some insights about how the Dubai government is re-thinking its local cultural assets and designing policies for economic growth through creative enterprise. Naushaba Brohi, founder of Inaaya and recent recipient of the British Council Young Creative Entrepreneurs Award gained international acclaim for her cutting edge handmade artisanal fashion brand based in Pakistan. Founded in 2010 with a noble intention to promote local artisans and craftsmanship, Inaaya presents artistically urban apparel and jewelry with strong cultural and traditional undertones. Inaaya derives its identity from the Arabic word for empathy, and so its business model evidences empathy. Inaaya began with only 6 women working on the products in one village. It is now enabling 126 local people in more than 13 Pakistani villages to create a better livelihood through the quality of their craftsmanship. This year Naushaba opened her first store at Market OTB for the Dubai Shopping Festival, which was held in conjunction with Dubai’s premiere fashion event called Fashion Forward (FFWD). Taking place in Dubai’s sprawling district of local creative entrepreneurial businesses, FFWD is the definitive fashion platform for Dubai and the Middle East. It is part of a movement catalyzing interest and innovation in Middle Eastern and North African (MENA) fashion. FFWD’s mission is to drive the regional fashion industry forward through catwalk presentations by established and emerging designers as well as Fashion Talks to foster industry discussion among inspiring regional and international stakeholders. 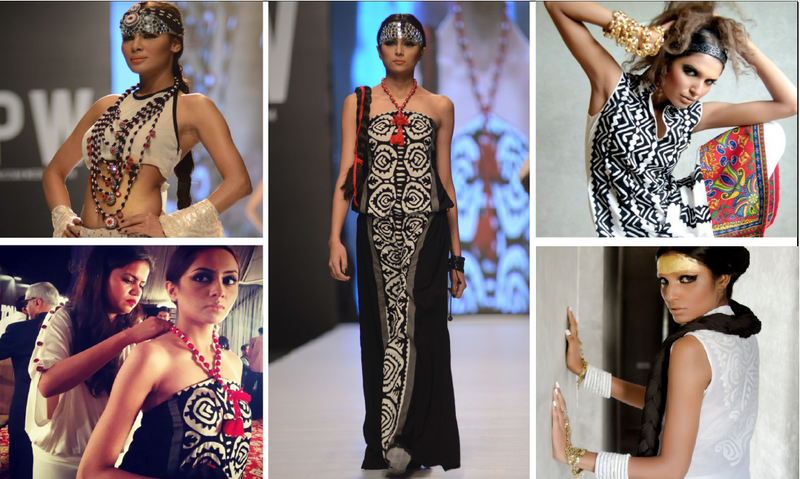 Since her first presentation at FFWD, sales for the Inaaya fashion line have skyrocketed. For Brohi, the event not only produced a roster of important business contacts from all over the world, it also provided a unique learning and sharing experience between other emerging MENA designers. Brohi’s experience mirrors those of other FFWD participants and speaks to a burgeoning MENA cultural diaspora to Dubai. And this is no accident. The Dubai Design District (d3) – part of a larger urban cultural district that includes contemporary art galleries, creative community and co-working spaces, design studios, private museums, and film, music and arts festivals – recently partnered with FFWD as one pillar in its plan to turn the region’s creativity into a successful business model. d3 is committed to contribute to the region’s growing design, fashion, art and luxury sectors over the next decade. Thanks to its robust tourism numbers, the Emirate expects strong and steady growth in design, art and luxury spending. 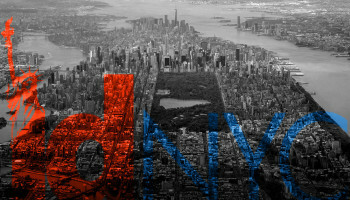 In September 2014, d3 shared its new master plan at Cityscape Global in September 2014, putting itself on the path of being a design capital rivaling London and New York. Dubai, situated at the mouth of a creek, was a natural harbor sustained by fishing and pearl diving for a thousand years. What followed was a tumultuous history fueled by trade, plundering and piracy. Throughout the 1800s, Dubai signed truces and treaties with the British to maintain stability in exchange for autonomy. As a result, Dubai became the Persian Gulf’s busiest trading port, and an entrepôt for merchants of trade from around the world. When oil was discovered in 1966, the Emirate leaders took bold risks and changed the landscape beyond recognition. Dubai introduced the Jebel Ali Free Zone in 1979, providing companies with unrestricted import of labor and export of capital, which helped to jumpstart the influx of global companies seen today. The success of the Jebel Ali free zone caused the development of clusters of new free zones with ownership and tax related benefits, including Dubai Internet City, Dubai Media City and Dubai Maritime City among others. Since then, Dubai has become a haven for wealthy foreigners, and it has positioned itself as a major luxury tourist destination replete with the tallest building and largest mall in the world, as well as high-end entertainment ventures and sporting events including horse racing, tennis, and golf. 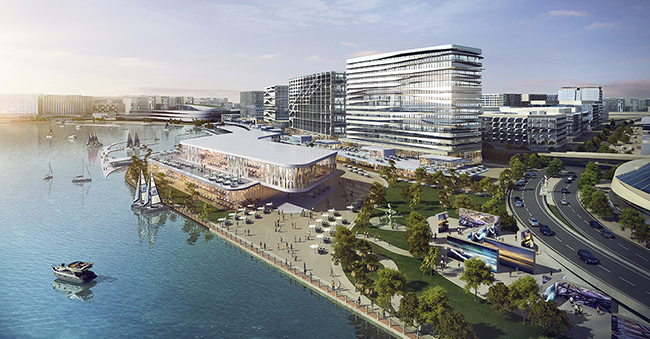 Included in the D3’s Plan is a design institute, art and design museum and 2km waterfront promenade. The new Dubai neighborhood will feature residential, commercial, retail and hospitality real estate, amphitheater, convention center and more. While this created the vibrant, modern, business-centered city-state Dubai is today, its singular economy structured to some degree around oil and foreign investment left Dubai vulnerable during the economic depression in 2008. Construction of luxury hotels and high rises slowed and in some cases stopped altogether. This was followed by an uptick of conflict in the region, which turned Dubai into a safe haven and attracted many foreigners from war-torn countries to work or set up businesses in the Emirate. While Dubai offers security and opportunity, it must also manage the increasing challenges of an international trading hub situated in an increasingly instable MENA region fraught with money-laundering, piracy and terrorism. Understanding that inequity is a threat, Sheikh bin Rashid Al-Maktoum has since gone to great lengths to diversify the economy beyond free zones and oil. His government has moved to balance globalization with localization, consumption with resource conservation, and foreign investment with local job growth. While previous economic policies driven by trickle down oil profits and investments in a tourism infrastructure helped shape Dubai into a magnet for visitors from around the world, new policies are now shifting to enable the development of an economy that can leverage the art, culture and creativity of the region. This shift is already palpable. A generation ago, young Dubai natives grew up with access to local art and calligraphy classes, but with little intention of building careers around creative disciplines. With the success of Media City leading to growth in the advertising and media sector, as well as a vibrant international retail industry servicing the region, Dubai youth are increasingly exposed to the outputs of creative professions. This coupled with a generation of children who received international education abroad or at international universities in Dubai, have created a wave of interest in design and creative industries. Together with talented peers, we have started a grassroots movement to bring together young creative professionals to network and promote each other through a series of events showcasing local design, fashion, art and music. The Dubai government has recognized this momentum in the creative sector and noted how Emirati women began taking interest in the creative fields. As creative activity started generating employment in new enterprises and industries, “creatives” started charting distinct career paths and entered the mainstream of economic activity. The government has since supported the growth of local galleries, art and design fairs and fashion platforms through the Dubai Design District – expanding upon the grassroots events my peers and I started – to boost the local cultural sector. By recognizing the economic and social value of these industries as significant contributors to the local economy, Dubai has begun to leverage official policies and education to develop a creative economy as an expanded vehicle for tourism and economic growth. This renewed focus on local cultural tourism enables Dubai to become more than just a destination for wealthy foreigners. Now, it is also a center of prosperity for local Emirati and MENA citizens. 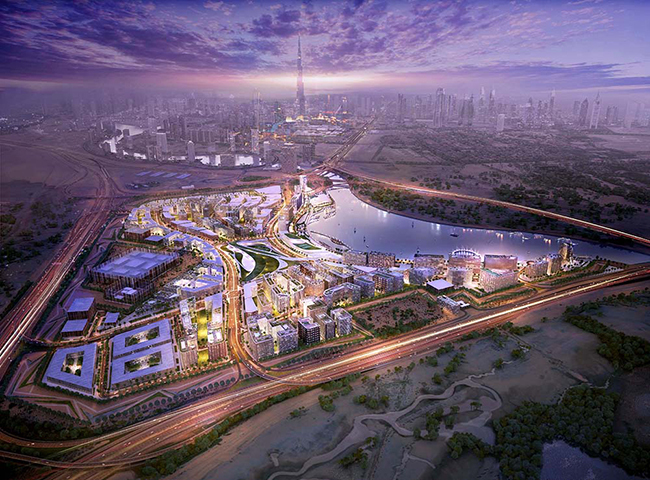 The Dubai Design District and its related ventures are, of course, real estate projects that help drive development. But, the Dubai government has shown a deeper commitment. Rather than simply creating another free zone, it has established the Dubai Design and Fashion Council (DDFC) by Royal Decree to ensure the sustainable growth and development of the local design and fashion industry in support of the Emirate’s wider economic, social and cultural objectives. Ultimately, the cultural heritage that the Council taps into runs deep, a heritage that has played an under-recognized role in the economic development of the region. Building on its legacy of renowned art, calligraphy, music, poetry and literature, Arabic design and architecture, the goal of the Council is to nurture, guide, inspire and support Dubai’s emerging artistry, design and fashion talent so as to carry this legacy into the 21st Century. In doing so, the DDFC has embarked on a number of initiatives that will position Dubai as a global center for design and fashion that appeals to regional and international brands, whilst offering guidance and advice for emerging talent to become leading brands of the future. “What we are aiming to achieve in cultivating and driving the credibility of our design industry is exciting and ambitious, but definitely achievable,” says Nez Gebreel, CEO of the DDFC. Currently, the platforms that exist in Dubai are more forward looking than the talent coming out of the region. The Design Council is therefore working to establish new vocational and academic educational facilities centered on fostering the design and fashion industries in Dubai. Dubai Design District fosters design, fashion, art and luxury in the Middle East. We enable Dubai’s design vision. Most of the images shown are from Meet d3 held in April 2015, which drew more than 30,000 over a single weekend and became the region’s most talked about event. It was created to introduce original work by emerging and establish talents in the UAE and beyond, and to harness and celebrate the creativity in the MENA region. While DDFC is a major step forward in recognizing the potential of the local creative economy, policymakers need to deepen their commitment to move beyond unilateral tourism goals and economic growth. They must continue to leverage the arts and design and focus creative and strategic energy on building a prosperity that has the potential to enhance social equity, environmental responsibility, economic health, and cultural vitality for the citizens and residents of Dubai. Ultimately, creative economies have the ability to enhance not only the creation of economic value, but also the flourishing of “sustainable prosperity,” where a healthy emotional and spiritual life exists in a society, in the context of an enabling environment that improves productivity. Dubai is at a pivotal moment in comprehending this shift, and it is an exciting time to help set the standards of future prosperity in the city I call my home. I look forward to helping turn Dubai into a TBLD+C Center for the entire MENA region, as a platform and catalyst for Naushaba Brohi and the thousands of other burgeoning MENA creatives who are ready to prosper in proud identity with the region. CATALYST: What prompted your trip to Dubai? Dr. Mary McBride: Many of our program participants come from this region. I took the opportunity to accept this invitation and learn more about Dubai, its remarkable history and the future it is trying to shape. Dubai is full of possibilities and aspirational appetite. It is a significant regional and world player. Saadia introduced you to talent and key officials in d3 and DDFC. 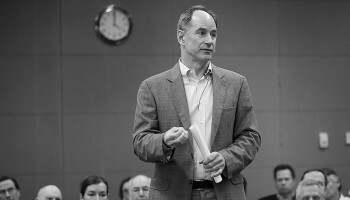 Who did you meet with and what insights came out of your discussions? MM: I was lucky to have Saadia as my “guide on the ground.” Saadia knows Dubai. She has been part of shaping its future of creative enterprise. The people she introduced me to have passion and vision and a growing influence. The future belongs to those who will help create it. I met various creative entrepreneurs – Bong Guerrero and Ramzi Nakad of Brag, who produce creative events such as Market Out of the Box, and Shahi Hamad and Saira Mehar from Fashion Forward, women who have also been key drivers of creative culture in Dubai for the past decade. 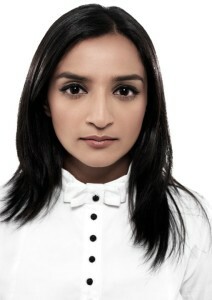 Mimi Shakhashir, owner of Kaleidescope by Mimi inspired me, as she uses her creativity to enable others. (http://kaleidoscopebymimi.com/home.php) Michael Lind, also left an impression. He’s the funny and wise Founding Partner and Head of Sustainability, Uniforms for the Dedicated. (uniformsforthededicated.com) Saadia set up the opportunity to sit with Nez Gebreel, CEO of DDFC and her team. We lost track of time and conversed for nearly two hours. As a visionary, educator and thought leader on creative enterprise, do you see any gaps or challenges with Dubai’s creative/cultural policy approaches? MM: There will always be gaps in any creative policy or in any policy. Policy is only a set of guidelines. I feel confident that the leadership of Dubai is open to having those guidelines shaped by new energy and ideas. Everyone I spoke with shared that confidence and wanted to be part of shaping a future. Dubai is at a pivotal moment. All societies are. The old models of development have taken us this far. New models will be necessary now. We will need approaches that encourage inclusion and engagement, enrich our biosphere and cultivate cultural diversity as an asset. There is every reason to believe that Dubai can help lead the development of these approaches. We know you have quite a playful, adventurous side. What was your favorite experience in the d3? MM: Ah, that may be a rumor. My serious side tends to prevail. But, the artist within was well exercised in Dubai. You will see why in this issue. What I saw moved me, delighted me and made me want to return. Creative economies have the ability to enhance not only the creation of economic value, but also the flourishing of “sustainable prosperity,” where a healthy emotional and spiritual life exists in a society in the context of an enabling environment that improves productivity. Saadia Zahid is a business strategist with a decade of experience in the creative sector in UAE and the Middle East. As an international brand consultant, she works on projects that build cultural understanding and commercial collaboration between the Middle East and the US creative industries.